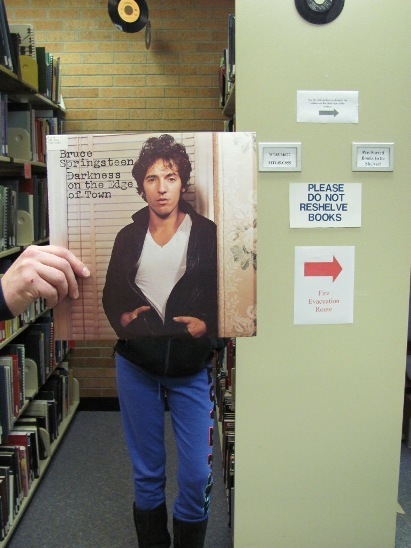 Bruce Springsteen plays it cool, even though he’s having trouble finding the book he wants to checkout. In this photo: Bruce Springsteen, Christian Remse and Angela Gisondo. Photo by Liz Tousey. This entry was posted in Pop and tagged Bruce_Springsteen. Bookmark the permalink.